– Nationally known accordion player and children’s polka musician Mike Schneider (a.k.a. Uncle Mike) from Milwaukee, WI will be performing his Pint Size Polkas program on Tuesday, June 30, 2015 at the Preston Public Library starting at 2:00 pm. Schneider began performing professionally in 1996. In 2008 at his wife’s suggestion, he began his Pint Size Polkas venture as Uncle Mike with the release of his groundbreaking Pint Size Polkas Volume One CD. Since that time, he has brought a little bit of culture, education, and a whole lot of fun to children and their families across the United States with his Pint Size Polkas program. Uncle Mike educates on concepts like the alphabet, numbers, occupations, personal hygiene, relationships, and foreign language through the happy sounds of polka music. The multimedia portions of his program educate on topics like geography, history, math and how to dance the polka. Audience participation is encouraged through numerous sing-along and volunteer opportunities, including the “Chicken Dance.” Find out why New York Public Library Senior Children’s Librarian Warren Truitt says “You want happy? You got it! Tons of fun for young and old!,” by attending Uncle Mike’s Pint Size Polkas program at the Preston Public Library on Tuesday, June 30, 2015 at 2:00 pm. More information about Pint Size Polkas is available at www.pintsizepolkas.com. Join us at the library on Wednesday, June 10th, at 10:30 am to read stories about music and sound. We’ll explore a few library books and have a chance to join in making our own music! This program is geared towards children six and under. 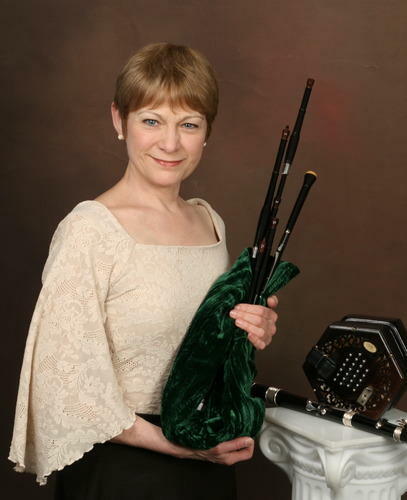 Award winning musician/vocalist Laura MacKenzie will present a program at the library. 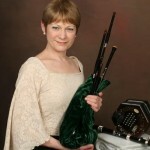 She plays several instruments and sings traditional music from the Lowlands of Scotland. Co-sponsored with the Preston Area Arts Council.